iOS 8 brings third-party app widgets to the Notification Center, making it easier for users to quickly get useful information from different apps by simply sliding on their screen. We recently told you about the range of apps that are already offering great widgets for Notification Center, and we are sure more will follow. Adding an app widget to the NC is as simple as it could get as you can easily add or remove a widget directly from the iOS 8 Notification Center. In this post we are going to show you how you can add or remove an app widget form Notification Center. 1. After you have installed an app that offers notification center widget for iOS 8 slide down to bring the Notification Center. 2. Now scroll down until you see the ‘Edit’ button and tap on it. This will display a list of all the available widgets that you can include or remove from your device’s NC. 3. To add any third-party app widget simply tap the green ‘+’ button. You can also remove the widgets that are already enabled by tapping on the red ‘-‘ button. Once you are done simply hit the ‘Done’ button. For this example we added the Dropbox widget and as you can see it was added to the NC without a problem. 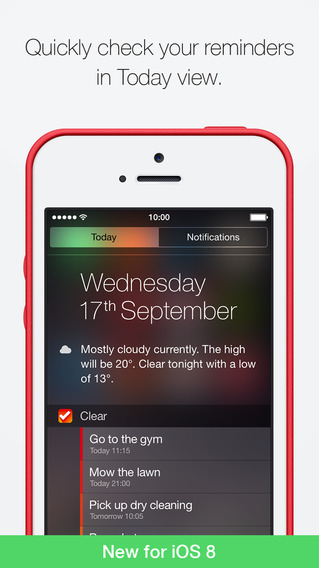 You can follow the same steps to add or remove app widgets from the Notification Center of iOS 8.